Over the past year I’ve been posting about living in a house full of miracles. I’ve also said a few times that I have some stories that I want to tell, and hope to tell soon. Well friends, today is the day. I am so excited to finally get to tell you about what God’s been doing. As I write this post I pray that He will give me the words to describe to you what a miracle it has been to me and the ways in which his faithfulness has completely stopped me in my tracks and changed everything about my attitude and my heart. He is so good! 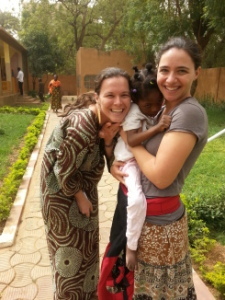 Last year, I had the opportunity to spend time at a Center in Niamey for babies who had nowhere else to go. Each time I went, I would visit my friend Nana. I actually posted about her here. Her smile really found its way into my heart. She seemed to spend a lot of time in her bed, and had very little ability to move. Whereas most of the children in this center were babies, Nana and a few others were older, and they all seemed to be there because of their special needs. I tried to take her out of her bed every time I was there and bring her out into the sunshine. This was a challenge because her body was ironing board stiff. I remember trying to swing with her one day. By the time I got myself into the swing and got her legs and core into a sitting position and got the swing moving I was exhausted, but she was thrilled and making sounds that showed she was delighted. My guess was that she was about four years old because she seemed about as long as Nathaniel, but she was much thinner. As my heart became more and more invested with this sweet new friend, I became painfully aware of how glum her future looked. I thought of all the benefits she would have in my country. I began to pray for her, and as I prayed I felt so strongly that God wanted to get her out of her bed at the center. So, I asked Dave if we could adopt her. I knew this would change our lives dramatically, but if God wanted me to do it, I was so willing to love this little one with all I had. When Dave said no, I was first disappointed and then angry. I thought he would see the desperation of her place in life and know (like me) that something had to be done for her. His response was that God wasn’t calling us to help her. God would call a family to help her that lived in America. To me, this just didn’t seem fair. I was here, ready to love her, waiting for an “orphan ministry” to step into. I took my frustrations to God and began to seriously cry out to Him to do something for Nana. I reminded him, in boldness, that she belonged to Him and spoke to Him about her destiny and her future. I demanded that he do something to get her out of that bed, and I also told Him that I would help however I could. I think I even asked Him to let me help her. But little did I know that He was at work. Sometimes He is moving and we can’t see it. I found out later that within two weeks of my blog post about Nana, some friends that I had never met got on the internet and saw her name (no photo) in a long list of names and felt the Holy Spirit move in their hearts. So much so, that a journal entry was written about feeling called to Nana. Then a friend called me to ask if I was familiar with the center for babies. Did I know the director? Could I bring her there to introduce her? This is the way things are done around here. I gladly obliged. The meeting was set. Then there were some complication in our schedules and the meeting was postponed. Finally we walked into the Baby Center on a day in February (last year) to meet with the lady in charge. We sat in her office for a long time (that’s how things often go). As we talked, I saw a woman walk by the window outside and my attention was immediately turned to her. She looked like an American, and I had heard that there were some ladies that were in town to adopt from this center. As soon as the meeting was over, I made a bee-line to the other side of the compound where the children spent most of their time. As I walked down the sidewalk I saw the woman standing there wearing a red baby carrier and inside it was Nana. As I approached her, the tears began to flow. By the time we were standing face to face I couldn’t speak. It began to sink in that this woman was here to adopt Nana. Could it be? I looked into this woman’s eyes through my tears and all I could say is, “She’s the one I love. She is so special to me.” It was a very emotionally charged moment for both of us. Even more so for Stephanie because this was the first day that she was taking Nana out of the center to spend her first night at the hotel with her new Mama. 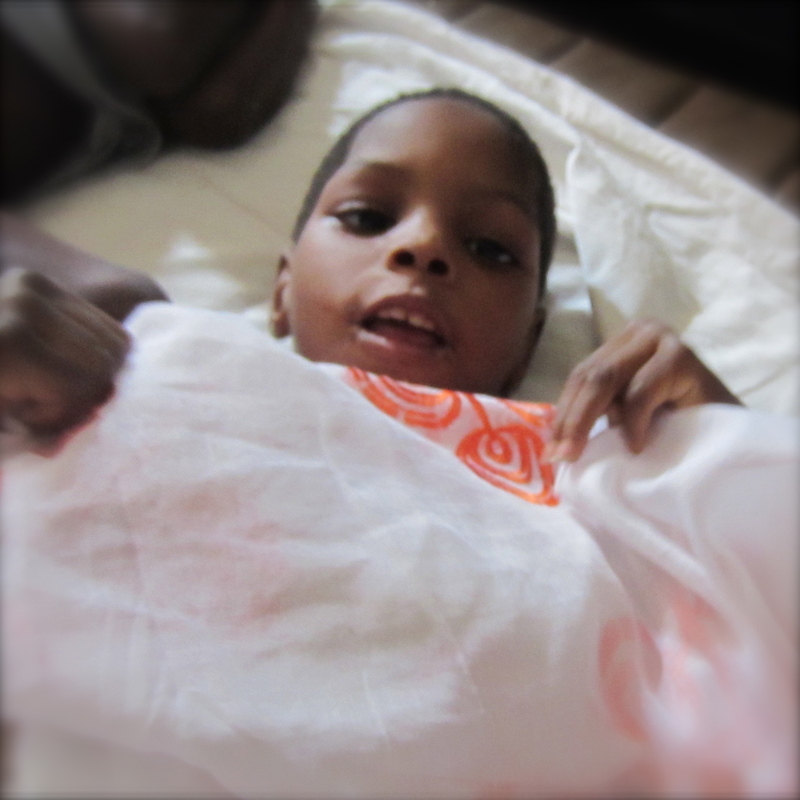 God arranged it so that I got to be at the center on the day that Nana left her bed. And she never went back. This miracle (the first of many) felt huge to me, but I had NO IDEA what God had in store. Love hearing the story from your side, Hope! thanks so much for sharing that awesome God story! Can’t WAIT to hear more!!! Thank you for sharing this story….crying in my tea with joy.